Back in August 2011, LinkedIn released a product called “LinkedIn for Salesforce” which, with time, would finally become the Sales Navigator. It allowed you to integrate your Salesforce and LinkedIn accounts, in order to have access to your Salesforce profiles and merge them with the social network, getting more information from your contacts. 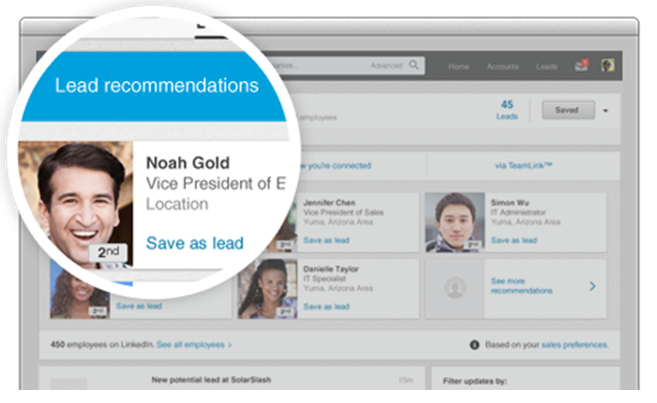 What is the new LinkedIn Sales Navigator? According to their blog’s explanation, “Sales Navigator is a data-driven product that enhances the buyer-seller relationship and makes it more efficient. Tapping into the power of our network of 313 million members, and the data that underlies it, we make it easy for sales professionals to stay updated about key accounts, focus on the right people, and build trusted relationships along the way”. But, why is LinkedIn interested on deploying a new version for everyone? Social Networks are useful far beyond checking your friend’s holiday pictures and #Icebucketchallenge’s all over the world. They can be used as a selling channel, a concept known today as Social Selling, that has become a way of generating lots of profit for people like Lewis Howes, one of the most known “social sellers” on LinkedIn. And LinkedIn knows that its platform can be an awesome tool for you to increase sales. You can connect with millions of people in a wide range of categories and sectors, all over the world, that would be really difficult to connect with otherwise by using traditional channels like cold calls or emails. There are, on average, 5.4 people involved in each buying decision process. (These are the people you need to contact in a traditional sales process until you reach the Decision Maker). 75% of B2B buyers use social media to be more informed on vendors. 76% of buyers prefer a vendor recommended by their network in order to trust her/him. 90% of Decision Makers never respond to a cold outreach. Checking these numbers, it is quite clear that we need to develop our social selling skills and, if we are a company, integrate it into our strategy to sell our products. So, how exactly is LinkedIn Sales Navigator going to help us boost our sales? They were talking about the 3 objectives that LinkedIn is trying to solve with its new product: focus on the right people on the right companies, stay informed and build trust. 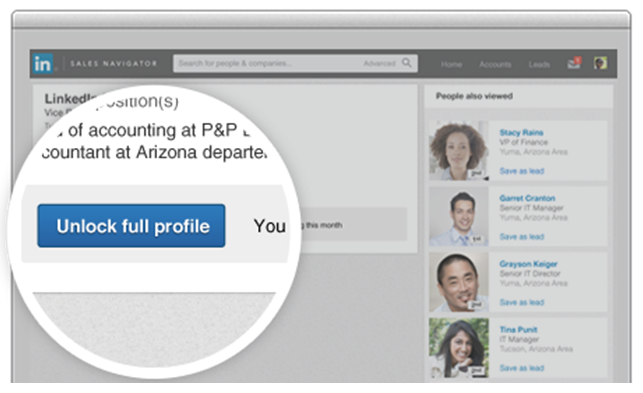 By changing your settings and introducing which people and sectors are you interested in, LinkedIn’s algorithm will automatically start showing you the people profiles and company pages that are more relevant to you. You can then save the leads that fit your needs and see company’s updates. Also, you can use advanced search to check if there’s someone else who would be interesting as well. You’ll get sales insights in order to do a more effective selling. You’ll be able to see what are your leads sharing, if they’ve changed their role in the company, which are the new potential leads of a company or if they’ve been mentioned lately on the news. You won’t buy something from someone you don’t trust right? Well, same happens with people who don’t know you. You’ll be able to create a much powerful profile that will allow you to generate a much better reputation for when you contact new leads by InMailing them. So, we can see that Social Selling era is here to stay and replace the old and annoying cold prospecting era. If the new LinkedIn Sales Navigator can simplify this process for us, then it will be worth giving it a try (but don’t forget that, on the end, although connections can be made online, relationships are made offline, so at some point we’ll have to see our faces or listen to our voices. Social selling will ease the path of contacting, but won’t replace the person). If you need more information or you want to contact their sales department for a demo, check LinkedIn’s Business webpage. And, If you are interested in developing your own LikedIn or Social Media strategy for your business, don't hesitate to contact us!